In this four-part article, you will learn how to generate a CSR code and install an SSL Certificate on Barracuda SSL VPN. The third section will bring you a few interesting facts about Barracuda SSL VPN service, while the fourth segment will reveal the best place to shop for SSL Certificates. 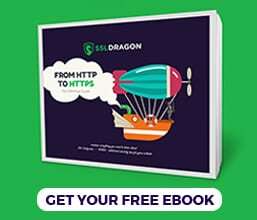 If you’ve already generated your CSR code and applied for an SSL Certificate, feel free to skip the first part and jump straight to the installation instructions. Use the links below to navigate through different sections. Where to buy the best SSL Certificate for Barracuda SSL VPN? CSR stands for Certificate Signing Request, a block of encrypted text with your contact details. You must send the CSR to your CA during the order process to pass the SSL validation. Note: If you have a Wildcard SSL Certificate, add an asterisk in front of the domain name. For instance, *.yourwebsite.com. Copy your Private Key into a text document such as Notepad and save it in a safe location. You’ll need it during the SSL installation. Congratulations, you’ve successfully created your CSR code and private key. Now you can submit your CSR to your CA and wait for your SSL Certificate files to arrive. The CAs usually send the SSL files in a ZIP folder via email. After you receive the SSL certificate files from your CA, you can proceed with the installation. You can get these files from the ZIP archive that your CA sent you. Extract its contents and copy each certificate in separate .crt files using a text editor such as Notepad. Now, all you have to do is synchronize your SSL Certificate. Go to Synchronize SSL Certificate section and click Synchronize. Well done! You’ve successfully installed an SSL Certificate on Barracuda SSL VPN web interface. After you install an SSL Certificate on Barracuda SSL VPN, check your configuration for potential vulnerabilities. With the help of these highly efficient SSL tools you can quickly diagnose any SSL Certificate errors. Get instant scans and reports on a wide range of parameters, so your website remains always secure. Barracuda Networks, Inc. is an American company offering security, networking and storage products. Founded in 2003 by Dean Drako, Michael Perone, and Zach Levow, Barracuda Networks was acquired by Thoma Bravo LLC in 2018, in a deal worth $1,6 billion. The Barracuda SSL VPN is a popular product that allows users to access internal applications and files. Unlike traditional VPN technologies, Barracuda SSL VPN doesn’t use additional client software or intricate settings. Users can log on from home, or on the go via just a web browser and an Internet Connection. 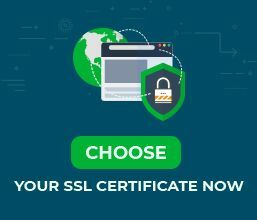 To help you choose the perfect SSL certificate that will also fit your budget, we created two exclusive SSL tools. Our SSL Wizard takes just a few seconds to find the best SSL deal for your website. On the other hand, the Advanced Certificate Filter lets you sort and compare various SSL certificates by price, validation, and features.